– Pamela Crawford is an award-winning, nationally known landscape designer and author of ten best-selling gardening books. 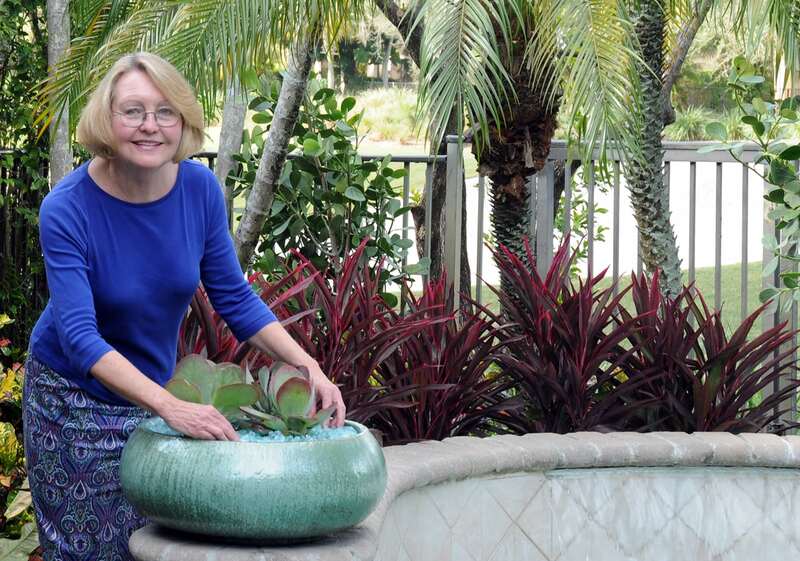 – She has successfully designed over 1500 landscapes in Palm Beach County in the last 25 years. – Her beautiful designs are routinely covered by newspapers, national magazines and television. – She has a Masters Degree in Landscape Architecture, a post-graduate four year degree. – Her goal is to ‘get inside her client’s heads’ so to speak – to design a landscape that will make them smile! – Pamela’s typical customer is someone who has recently purchased a luxury home and is renovating the inside and outside. Pamela can take care of everything outside – pool, landscape, paving, and outdoor kitchen – both the design and the installation. © 2019 Pamela Crawford, All Rights Reserved.